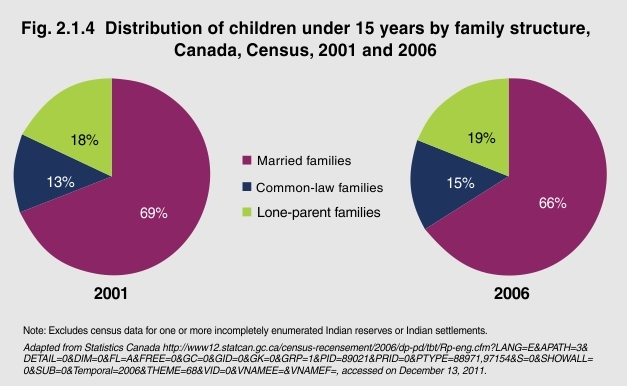 Although married couples remain the most common Census family with children under the age of 15, findings from the 2006 Census suggest a shifting distribution among Census family structures. In 2006, married families with children under 15 accounted for 66% of all families with children under 15, down from 69% in 2001. The proportion of common-law families with children under 15 rose to 15% from 13%.